In this episode, Om Nom once again encounters his bitter enemy - the Spider. Can our brave little monster save the sweets from his greedy hands ? This is the 10th episode of the NEW SEASON 4 of Om Nom Stories. 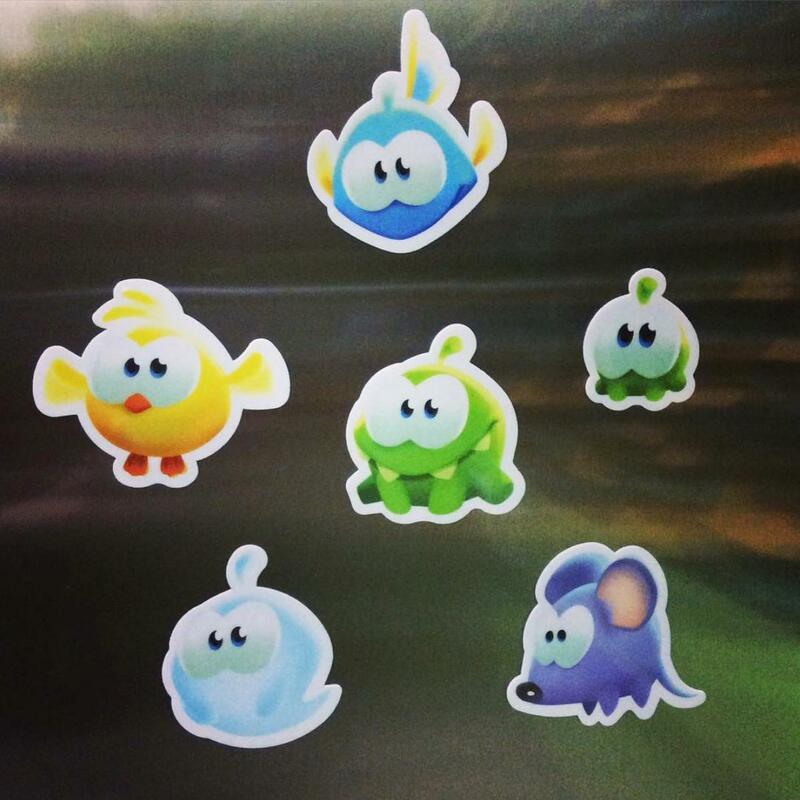 Watch "Episode 38: The Magic Hat" and get a chance to win adorable "Cut the Rope: Magic" magnets (shown above) !!! Starting from this season they no longer ask you to find a "hidden star" like last time, instead you have to watch the last part of the video to know what "hidden object" they want you to find, this time it's a "toy airplane". It's quite easy to find but if you need help, you can view the Answers page. This is also Puzzle No. 40 in the Puzzles page.